Distance : 4.8 Miles, Approx 4 hrs. 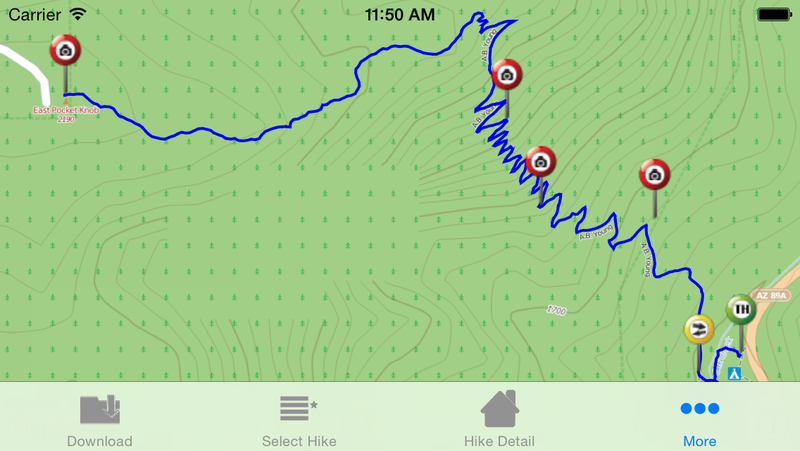 A strenuous, but fun trail with 30 switchbacks up the west side of Upper Oak Creek Canyon. You will rock hop across Oak Creek to start and finish at a fire lookout tower. If manned you may be able to go up inside the tower for impressive views of Mt. Wilson and Humphreys. If not, the views at the top are still grand. We measured a 2044 foot elevation change.